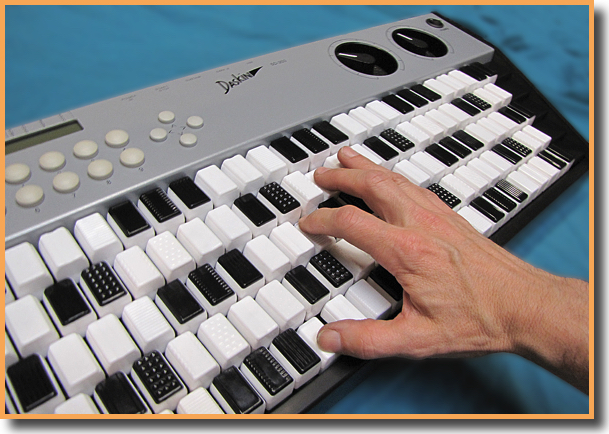 The Daskin 5 and Daskin 6 Uniform Keyboard Systems exhibit a revolutionary approach to musical keyboard layout and design. Based upon the 19th century chromatic whole-tone layout from Paul Von Janko, the Daskin keyboard affords the player many conveniences and advantages over the standard classical keyboard in use for the past several hundred years. Inventor Paul Vandervoort, President of Daskin Mfg., holds 7 patents being implemented in these forthcoming musical instruments. For more information and product availability, don't hesitate to contact us.